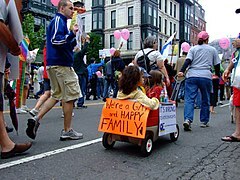 The inclusivity of the LGBTQ community. The LibraryThing Blog. Tags again: GLBT vs. LGBT. Published online. Safe Schools Coalition. Glossary. Published online. Religious Institute. "Time to Seek" Definitions. Published online. Stahl, S. Sorting the Alphabet Soup of Sexual Orientation and Identity: a Guide to LBGT Sources. Published online.